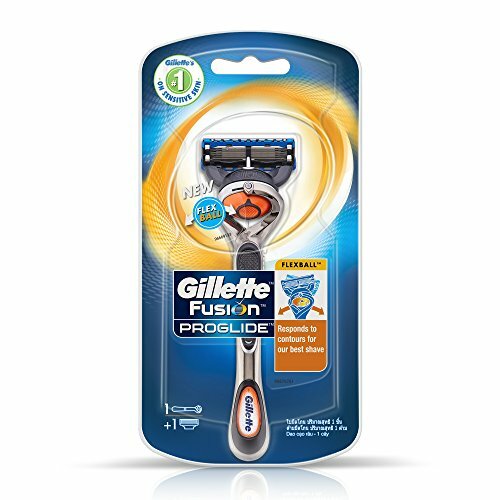 Gillette Fusion Pro Glide Razor has have been introduced with FlexBall Technology for providing the ultimate shave. Re-engineered Low Cutting Force Blades feature thinner, finer edges with an advanced low-resistance coating to cut effortlessly through hair with less tug and pull than Fusion. The Stabilizer maintains optimal blade spacing for the best comfort while allowing the blades to respond to the contours of a man’s face. Its Streamlined Comfort Guard channels excess shaving cream and produces optimal blade contact, stretching the skin for a close, comfortable shave. 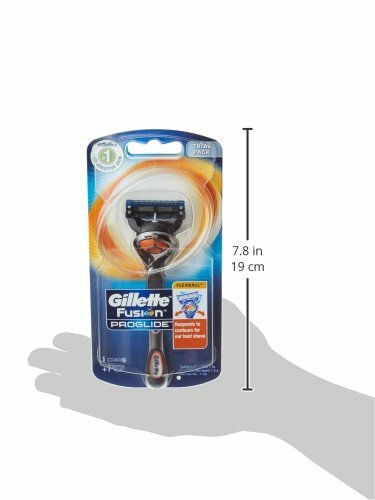 Its Enhanced Lubrastrip is infused with mineral oil and lubricating polymers that allow the Gillette Fusion ProGlide to move smoothly over the skin, even on repeat strokes.